Home Enlivening What We Think We Know..
What We Think We Know..
Well, I couldn’t have been more incorrect and out of touch with how the labour of human existence truly works. My way of thinking and doing was completely invalid, and what I believed to be real was fallaciously untrue. I didn’t have a clue about any Ego, nor did I challenge my way of acting or executing when I had a desire to possess, or do or a wish for, I just did it. Most of what we thought we knew in our past, we unearth and recognize has been an outright bunch of lies and so when that random day that comes to wake us up, we have to go back to the start line and begin again. 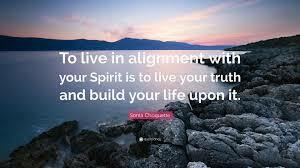 The task at hand is to undo what you think you know is the truth about who you are, in your discovery along your journey to this veracity you will awaken to a brand new and beautiful new YOU.